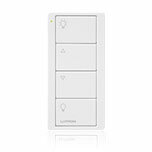 Provides on, off, preset and raise/lower for lighting control; open, close, preset and raise/lower for control of automated blinds; or open, close, preset and adjust buttons for control of automated curtains. 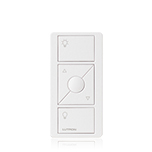 In addition, blind control option provides open, close, preset and tilt. 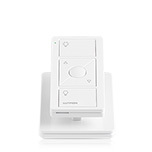 Raise/lower control for blind control is achieved through the stop-while-moving functionality of open and close buttons. 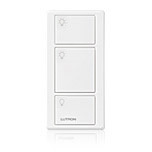 Provides on, off, and preset for lighting control. 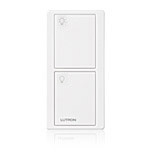 Provides on and off for lighting and projection screen control.